Abdulrasheed Maina, continued on Wednesday, as both the current administration and the immediate past one traded words over the development. This was as the family claimed that it was the President Muhammadu Buhari administration that invited Maina to return to the country and clean up the mess and generate more revenue for the government, a claim the Presidency described immediately as untrue. Addressing journalists in Kaduna on behalf of the family on Wednesday, Mr Aliyu Maina accused a ‘cabal’ of being behind the travails of the dismissed civil servant. “It is on record that Abdulrasheed Maina’s reforms put to a stop the fraudulent withdrawal of huge sums of money from both the Nigerian Pension Board, the Nigerian Police Pension Board, among others. “Perhaps it is his noble efforts that made him enviable to the present administration when it came into power to convince him to come back and assist in its ‘change’ agenda. “Abdulrasheed was, in fact, invited by this administration and he was promised security to come and clean up the mess and generate more revenue to government by blocking leakages. “There is a letter from the Attorney-General of the Federation where he gave his own legal opinion regarding the court verdict which was submitted to the Federal Civil Service Commission and the Head of Service. “So, one wonders why all the agencies and various individuals responsible for his return are now denying,” he said. He maintained that their son was not a fraudster but a ‘messiah’, who brought reforms into the pension scheme. Aliyu, who said the family had sought the intervention of its lawyers, added that Maina would soon make some revelations. “All the same, we have contacted our solicitors, Messrs Mamman Nasir & Co and instructed them to act appropriately. “We equally know that Abdulrasheed Maina is in possession of some facts that are against the cabal and interesting to the Nigerian populace, which he will disclose soonest. 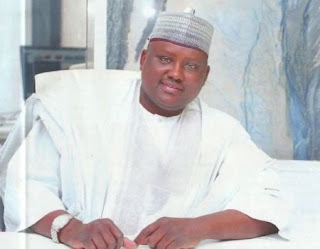 On the seized houses, the family said Maina had inherited the houses which the Economic and Financial Crimes Commission (EFCC) recently seized in Kaduna. Reacting, the Senior Special Assistant to the President on Media and Publicity, Garba Shehu, said the claim that the Buhari administration invited the wanted Maina back into the country was minted falsehood. “Nobody should believe that. The family that made the claim simply wanted to be ridiculous. please ignore them,” he said. Earlier before the revelation by the family, the Presidency had claimed that some influential officials of the former administration of President Goodluck Jonathan may have been responsible for the return of Maina to the civil service. A statement issued by Shehu in Abuja also said the Peoples Democratic Party (PDP) government received billions of naira of looted pension fund from Maina. The statement observed that Maina was a top member of the PDP and, therefore, the party had no moral right to criticise President Buhari over his re-engagement. The statement added: “Over and over again, the President Buhari government has pointed out that the administration’s greatest problem is the mess left behind by the previous government. Maina is just one more example. “Top officials in the PDP government, from sectoral heads, to those charged with responsibility for law and order, received some of these billions of naira from Maina. “We have all the transaction records and these are matters that the EFCC has been pursuing to ensure that they all have their day in court,” he said. The Presidency, however, assured Nigerians that President Buhari was determined to get to the bottom of the matter of the impunity. Reacting, former president, Dr Goodluck Jonathan, said the statement linking his administration to the recall of Maina was a sign the Buhari government had lost touch with reality. Jonathan, who spoke through his media adviser, Ikechukwu Eze, said the allegation on behalf of Buhari by Shehu was ridiculous. “It is becoming ridiculous and interesting if they can descend to such unfounded allegations,” Eze said. He added that the family of Maina had already spoken and declared that Buhari brought him back to governnent. “The family of Maina has spoken and stated clearly that Buhari brought Maina back to office. Why are they making unfounded allegations? The family cannot lie against their own and we believe them,” he said.